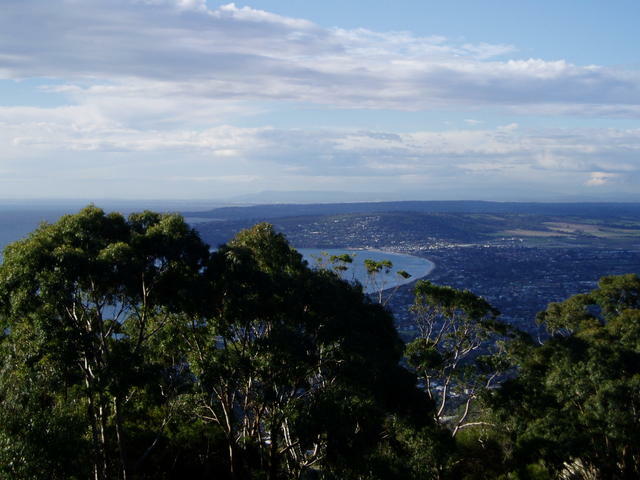 Superb Views from Arthurs Seat across Port Phillip Bay - looking north with Mount Dandenong way north in the distance, and Mt Eliza, and Mt Martha midway. 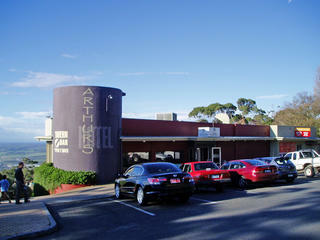 Arthur's Seat, is situated about 75 minutes south of Melbourne, and easily reached via East Link (from Monash or Eastern Freeway) through Frankston, and south along the road towards Portsea. Then at Rosebud, turn off to take the hill climb straight up the zig-zag scenic tour that is the Arthurs Seat Scenic Road. It follows the path under the Chair Lift that was built many years ago, and used to take pasengers to the top of the mountain.